Give a gift for ALL to sea & give back today on #GivingTuesday! On this Giving Tuesday, Charleston Community Sailing is grateful for YOU! We exist to serve you and your families by providing unique hands-on learning experiences, building character, and making it possible for ALL to enjoy one of our greatest natural resources – our waterfront. How can YOU help? Your support helps us touch the lives of roughly a thousand people a year by giving them a gateway to our waterways. Whether participants are learning to sail, studying STEM education or fine tuning their skills, there is always something to gain from time spent on the water! We are excited for what we have accomplished and are looking forward to celebrating 20 years in 2019. 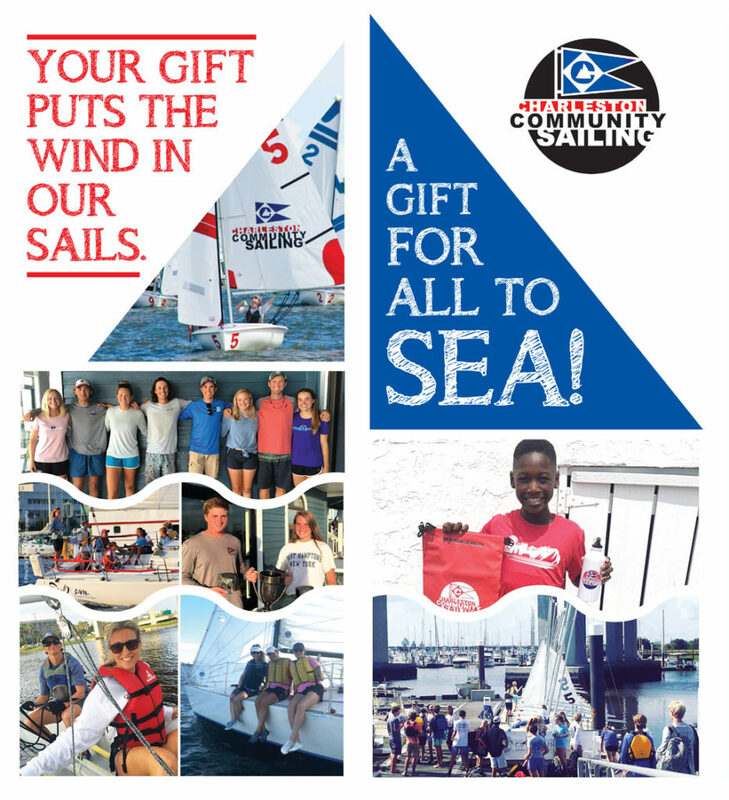 Your gift puts the wind in our sails and helps create on the water experiences for our community. We hope you will give today and we wish you a very happy holiday!